Slade Heathcott | Clarksville Sports Network - Clarksville Tennessee's most trusted source for sports, including Austin Peay State University. Nashville, TN – The Nashville Sounds closed an eight-game homestand with a 4-3 win over the Colorado Springs Sky Sox in front of 9,084 fans at First Tennessee Park Friday night. The scoring happened early as the Sky Sox plated three runs in the first, and the Sounds bounced back with all four of their runs in the second. Trailing 3-0 in the bottom of the second, the first five batters reached safely for Nashville. 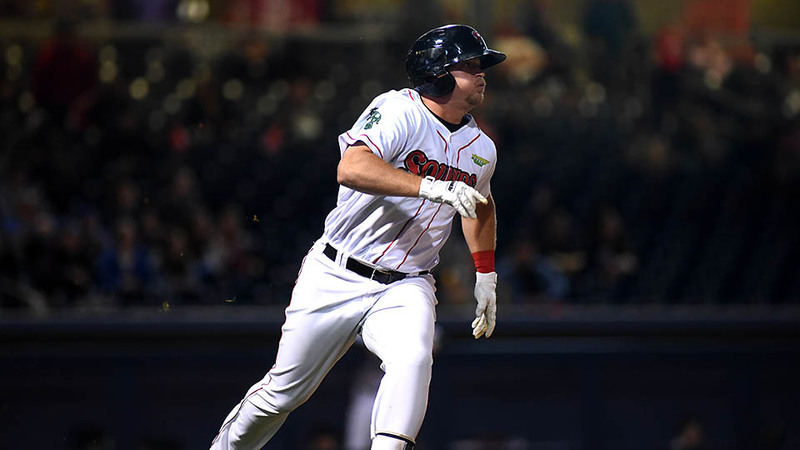 Josh Phegley walked, and back-to-back singles by Sheldon Neuse and Slade Heathcott loaded the bases for Jorge Mateo. The shortstop ripped a two-run double down the left field line to make it a 3-2 game. 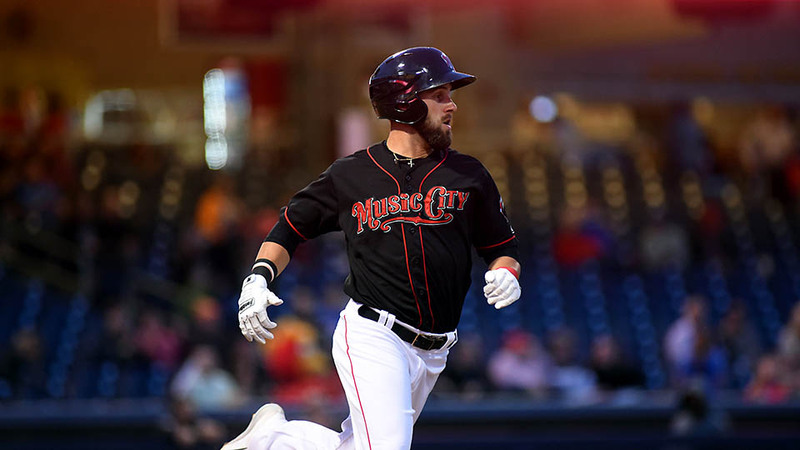 Nashville, TN – The Nashville Sounds jumped out to an 8-0 lead after the first inning and held off the Colorado Springs Sky Sox en route to a 12-7 win Thursday night. 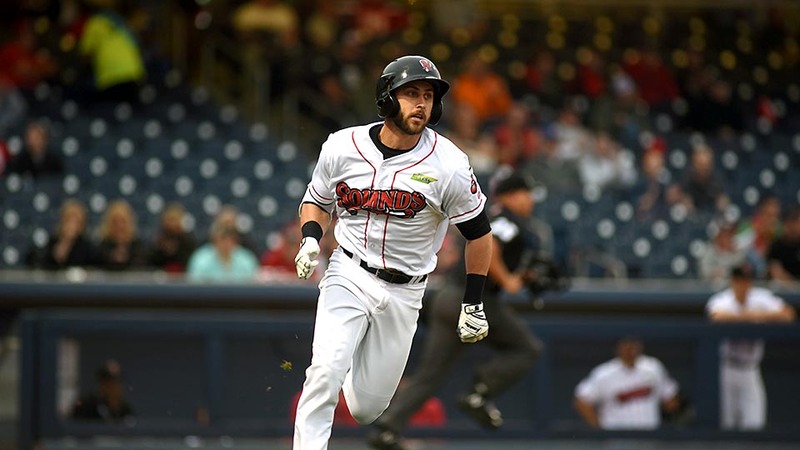 Anthony Garcia led the way offensively for the Sounds with five RBI. The right fielder picked up a two-run single in the first, belted a two-run homer in the fourth, and recorded a sacrifice fly in the eighth. 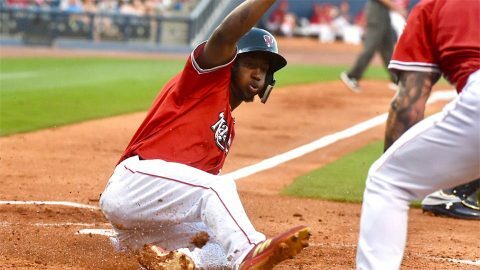 The Sounds built a large cushion with an offensive explosion in the first inning. 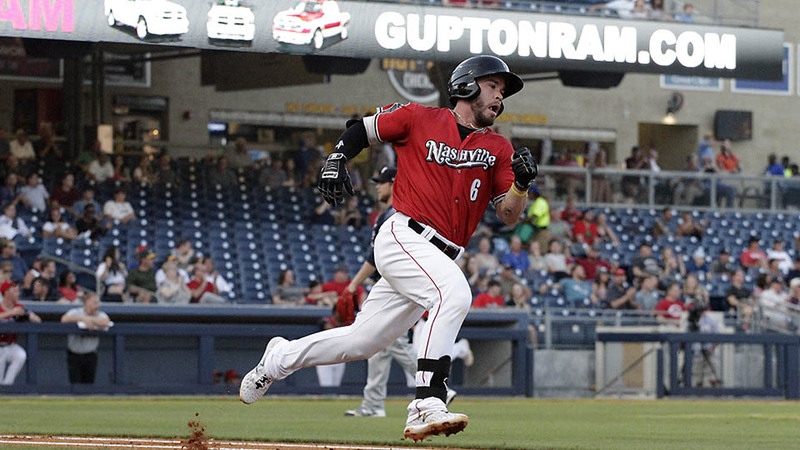 Nashville sent 12 batters to the plate and tallied eight runs on nine hits to put the game out of reach. 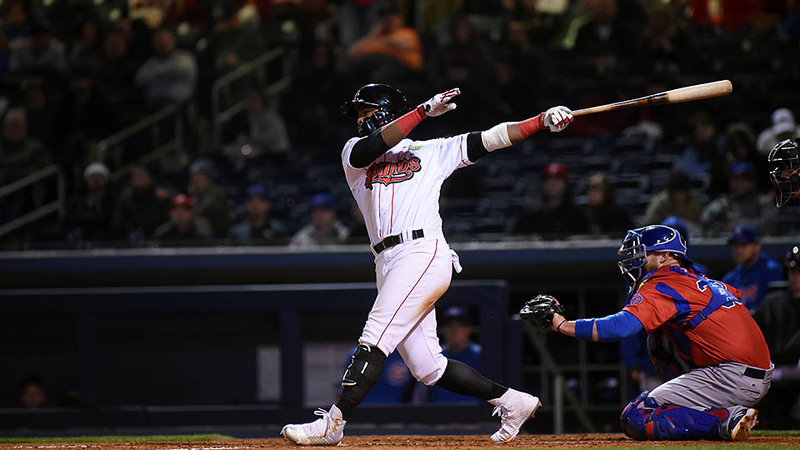 Nashville, TN – The Colorado Springs Sky Sox took advantage of two Nashville Sounds errors and grabbed a 6-5 win at First Tennessee Park Wednesday night. Home runs by Nick Martini and Anthony Garcia, along with a strong performance by starter Frankie Montas helped the Sounds build a 5-2 lead through six innings. The wheels fell off in the seventh as Colorado Springs started the inning with three consecutive hits. The third hit of the inning was a run-scoring double by Nate Orf to trim Nashville’s lead to 5-3. Keon Broxton followed with a fly ball down the right field line that was dropped by Garcia. Another run scored to make it a 5-4 game. 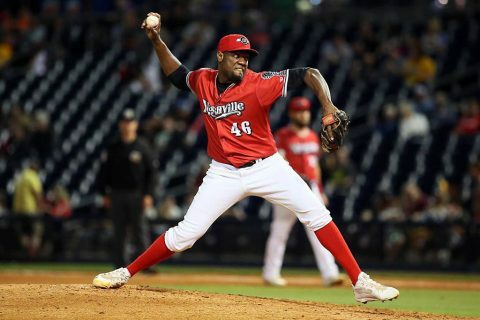 Nashville, TN – Frankie Montas went six solid innings and Anthony Garcia knocked in a pair of runs to lead the Nashville Sounds to a 3-1 win over the Memphis Redbirds in front of 9,259 fans at First Tennessee Park Friday night. 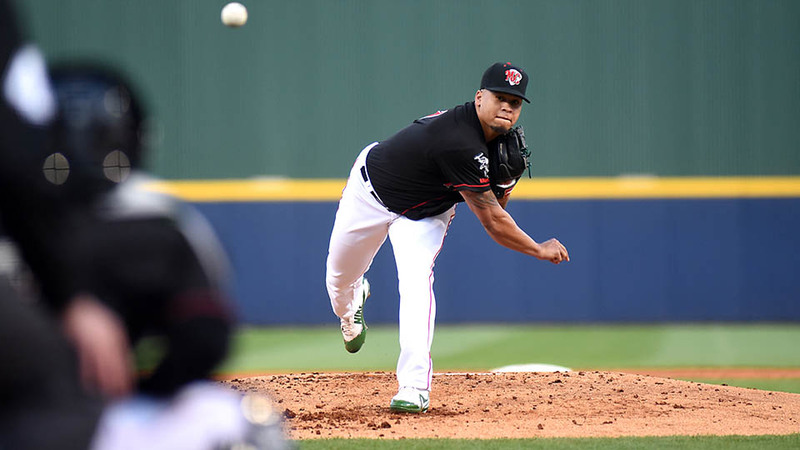 Montas earned his first win of the season and went six innings for the first time since 2015. The right-hander allowed a second inning home run to Adolis Garcia but settled in. He scattered six hits and finished his night by striking out Patrick Wisdom to end the sixth. Trailing 1-0 in the bottom of the third, the Sounds got a big two-out hit from Slade Heathcott to even the game at 1-1. With Nick Martini at third, Heathcott lined a base hit through the left side. Nashville, TN – The Nashville Sounds Baseball Club returns to First Tennessee Park for an eight-game homestand on Friday, May 4th, 2018. 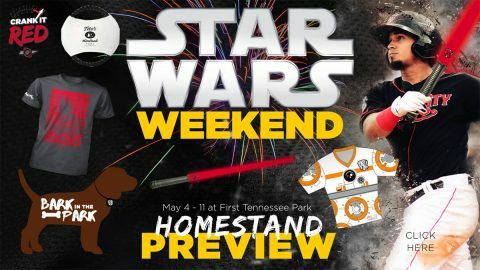 The Sounds welcome the Triple-A affiliate of the St. Louis Cardinals, the Memphis Redbirds, for a four-game series from May 4th-7th. 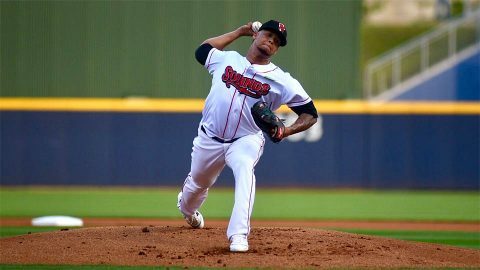 Following the Redbirds, the Sounds welcome the Triple-A affiliate of the Milwaukee Brewers, the Colorado Springs Sky Sox, for a four-game set from May 8th-11th.